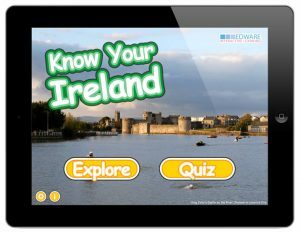 Edware, the Irish software company behind the popular iPad app “Know Your Ireland“, has teamed up with Seomra Ranga to celebrate the revamp of the site. Luke at Edware has given us five Promo Codes for the latest release of the app as prizes for this competition. First launched in September 2012, the Know Your Ireland iPad app has just been upgraded to Version 1.3 to include information about the provinces, counties, towns, mountains and rivers of Ireland. 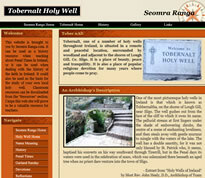 There is lots of information on each feature too in the Explore section, with great photos from each county. Other features on the app include: a quiz to test your knowledge of Irish geography; explore each feature around Ireland; photos from every county in Ireland; information on each feature; county crests; audio of each feature; Game Centre Support; Retina Display Support. To be in with a chance to win one of these five Promo Codes for yourself or your school, simply fill in the form below with your details and answers to the simple questions. The questions are all based on Irish county towns. All entries for the competition must be in by 5pm Thursday August 24th. Only one entry per teacher is permitted. 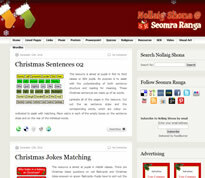 The winner will be selected on Twitter (@seomraranga) after this time. Please make sure that you give a contact email address that you can be contacted on immediately after the competition as teachers have previously forfeited prizes by not answering their emails promptly! Again, many thanks to Luke at Edware Learning for generously sponsoring the prizes for this competition. Go n-éirí an t-adh libh!